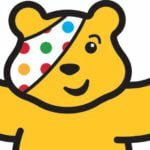 A very big thank you to all of our wonderful children, parents and staff for helping us to raise over £120 at our Little Pips Nurseries for Children in Need. We had a wonderful few days with lots of fun activities, dressing up and culminating in a yummy cake and coffee morning which was well attended at both settings. Thank again for all of your support!